Live your Dream-Join the MARTA Team!!! Now’s the chance for you to start a great Law Enforcement career at MARTA! On Saturday, March 30, 2019, MARTA will host an Information Session to find team-oriented, customer-focused individuals to be one of the MARTA Police Department's finest. MARTA will offer an on-site information session for open police positions at an event being held from 9:00 a.m. to 1:00 p.m. at the MARTA Headquarters, 2424 Piedmont Road N.E., Atlanta, GA 30324. The MARTA Headquarters is located across the street from the Lindbergh Center Station. Applicants must also be at least 21-years-old and are required to pass all tests related to the position, including a Background investigation to include criminal history records check, polygraph examination and credit check. Must pass physical examination, including drug/alcohol screening and psychological testing. Must possess a valid drivers’ license. Professional/business attire is required at the information session. Pay starts at $37,772 and tops out at $58,136 for a Sr. Officer. 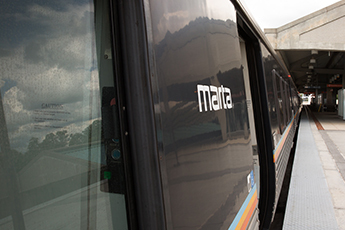 MARTA offers excellent benefits and opportunities for advancement. MARTA also provides all uniforms and equipment. $3,000 Signing Bonus for Georgia Certified Officers. $1,000 Signing Bonus for non-certified personnel. Are You Interested in Joining MARTA’s Police Department?